Stuttgart/Kawasaki, Japan – At the 42nd Tokyo Motor Show, Mitsubishi Fuso Truck and Bus Corporation (MFTBC), one of Asia’s leading commercial vehicle manufacturers, will present the most innovative fleet of vehicles it has ever displayed. The presentation will focus on green technologies – especially hybrid systems. Accordingly, the show’s highlights will include the world premiere of the new Fuso Canter Eco Hybrid. In line with the show’s theme, “Power to the Future,” MFTBC’s presentation will underscore the importance of innovative technologies for safeguarding our social and economic future and promoting environmental protection all over the world. MFTBC has accumulated extensive know-how and development experience during its long history. For example, Fuso is forging ahead with the development of its hybrid activities, because more stringent emission limits will also become a feature of markets outside the triad and beyond in the future. Fuso is already one of the world’s leading manufacturers of commercial vehicles with alternative drive systems. Back in 2006, it introduced the Fuso Canter Eco Hybrid – one of the cleanest light-duty trucks in the world. The Daimler Trucks Global Hybrid Center (GHC) has been located at the Fuso facility in Kawasaki since 2008. The GHC coordinates and synchronizes the worldwide hybrid activities of all truck brands in the Daimler Group. The new Fuso Canter Eco Hybrid will be celebrating its world premiere at the Tokyo Motor Show (TMS). Although the vehicle is based on the model launched in 2006, its second generation has been completely revised. 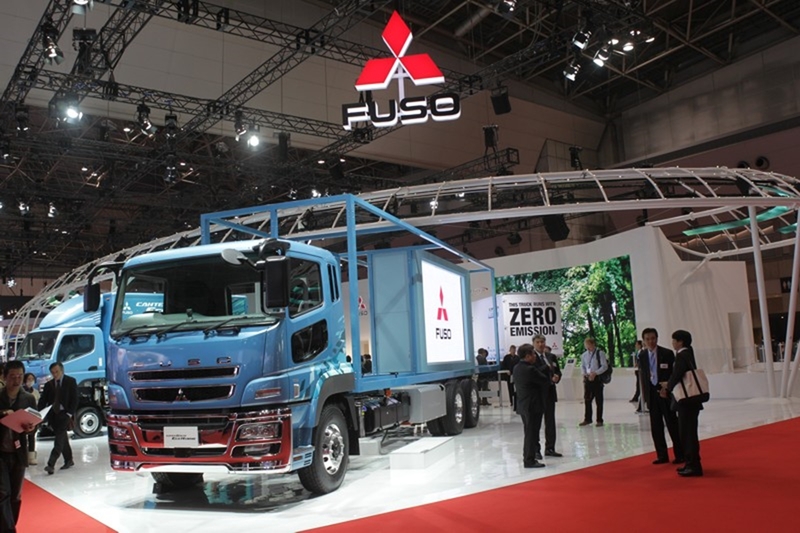 The new hybrid truck will initially be launched in Japan, where it will be introduced in spring 2012. 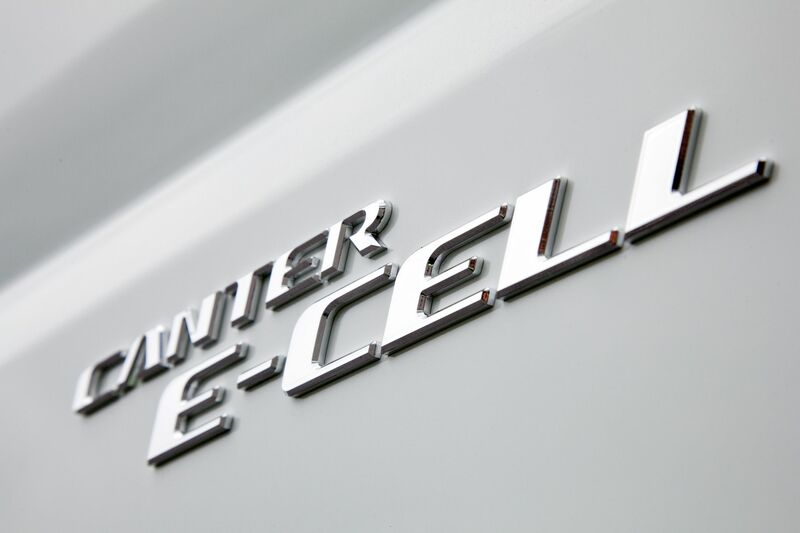 The Fuso Canter E-Cell light-duty truck will be presented in Japan for the first time. This CO 2 -free test vehicle is part of Daimler Trucks’ “Shaping Future Transportation” initiative, which focuses on reducing pollutants, carbon dioxide, and fuel consumption through the utilization of clean, efficient drive systems and alternative fuels. The Fuso Super Great Eco Hybrid is the first long-distance haulage truck under development for commercial sale by a Japanese manufacturer. 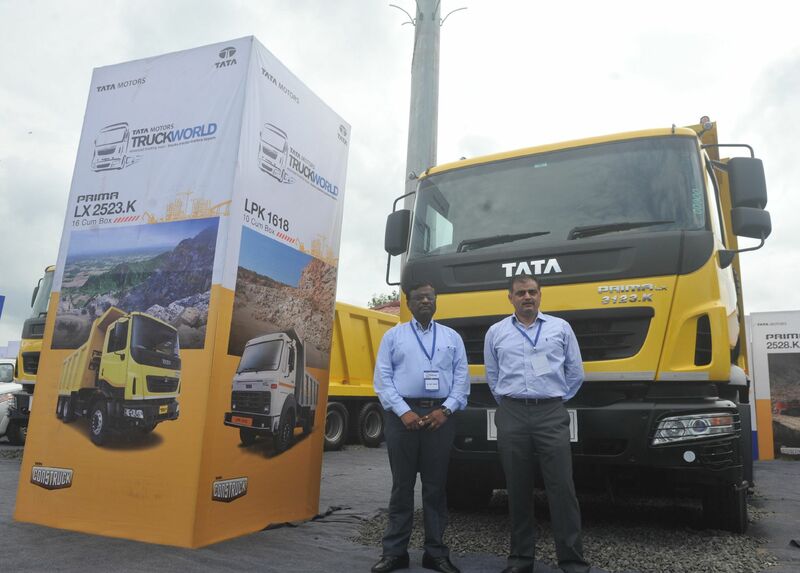 This makes MFTBC one of the world’s first manufacturers to test a hybrid heavy-duty truck for highway use under real-life conditions. The vehicle also plays a key role in the hybridization of Daimler’s entire fleet of heavy-duty trucks. The Fuso Super Great HEV test truck enables Daimler Trucks to achieve a substantially higher fuel efficiency than conventional diesel-powered vehicles. Another vehicle to be presented at the TMS is the Aero Queen large travel coach featuring BlueTec technology. All of the models now boast improved fuel economy and already meet the fuel efficiency standard that will go into effect in Japan in 2015. The travel coach combines luxury, efficiency, safety, and functionality. MFTBC is conducting tests aimed at the hybridization of Daimler Trucks’ entire fleet of heavy-duty vehicles, using the Fuso Super Great Eco Hybrid in particular. The results of this testing will also flow into the development of future environmentally friendly trucks from Mercedes-Benz and Freightliner. Daimler AG owns 89.29% of MFTBC. Various Mitsubishi Group companies hold the remaining 10.71%. MFTBC is an integral part of the Daimler Trucks division of Daimler AG.